Myopia is a common eye condition that occurs when there is something wrong with the shape of the eyeball, cornea, or lens, causing objects in the distance to appear blurred or unfocused. Find out more about this common eye condition and how it can be treated. The condition can begin to develop at puberty and gets progressively worse until the eye stops growing, however myopia can also occur at a very young age. It’s believed that myopia affects roughly 1 in 3 people in the UK. Untreated myopia in children, or a severe case in an adult, can lead to a number of related eye conditions. Squint (Strabismus) – Eyes turn in separate directions. Lazy Eye (Amblyopia) – One eye doesn’t develop correctly. Glaucoma – Pressure inside your eyes increases. Cataracts – The lens becomes cloudy in patches. Retinal Detachment – The retina detaches from blood vessels (supplying nutrients & oxygen). In severe cases of myopia, the stretching of the eyeball can lead to the retina tearing or becoming detached. Blood vessels can grow beneath the retina which can affect your vision, but detecting and treating it early can prevent vision loss. Myopia can be caused by a misshapen lens, cornea, or eyeball that stops light from reaching the retina. This means that the light isn’t refracted to the correct spot in the eye, causing blurry vision. The condition can be a result of different environmental and genetic factors. 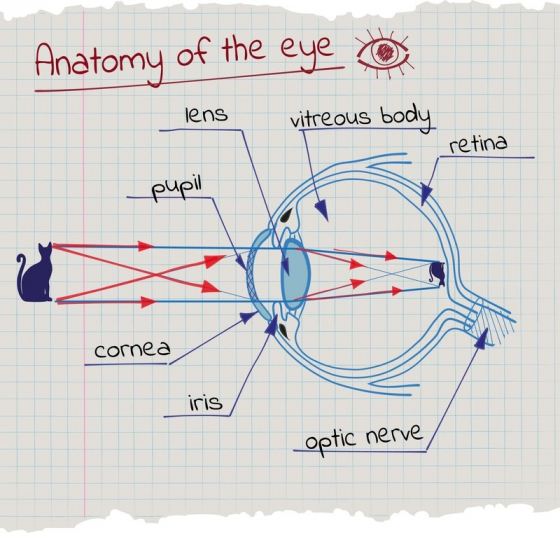 The Cornea and Lens – These sit at the front of the eye, working like a camera lens to focus the light onto the retina. The Retina – This is a group of light-sensitive cells at the back of the eye, sensing colour and light and converting them into electric impulses. The Optic Nerve – This is a nerve behind the eye that sends the electric impulses to be interpreted by the brain. When the eye is correctly shaped, light passing through the cornea is focused by the lens directly onto the retina. Someone with Myopia tends to have eyes that are slightly too long, this causes the refracted light to focus just in front of the retina rather than on it. Genetics – Children that have either, or both parents with myopia are more likely to develop the condition– researchers have found over 40 genes related to poor long-distance vision – these genes can affect the structure of the eye, as well as communication between the eyes and brain. Little Outdoor Exposure – There is some research showing that time outdoors at a young age may help to reduce the risk of developing Myopia. It may also slow the progression for those who already have it. This could be due to the increased levels of light outdoors compared to indoors. Working Close up – Long periods of time spent concentrating on objects held close to your face or body, such as books or mobile phones, can increase the risk of becoming short-sighted. Myopia can normally be diagnosed in a standard eye exam. As children may not recognise the symptoms, it is important to go for regular eye exams as picking the condition up early can prevent it from becoming serious. New-borns normally have their eyes tested within 72 hours of birth for any stand out issues, while a second eye test should happen when they are six to eight weeks old to check for problems not found after birth. When the child is around a year old or between two and two-and-a-half, their health and development review may involve questions about vision. You can organise an eye test if there are any concerns. Children should have their eyes checked at least once a year at a opticians – for children under 16, and children under 19 in full-time education, these checks should be free. Optometrists specialise in testing, diagnosing, and treating various conditions relating to poor eyesight. They can work in hospitals, clinics, or at an opticians, and can normally prescribe you with glasses or contact lenses. Ophthalmologists specialise in diagnosing and treating eye conditions. They normally work in hospitals. Orthoptists are specialists in issues concerning eye muscles and movement, and the development of vision. They can usually be found in local clinics and hospitals. Unless advised differently by a doctor or eye-care specialist, adults should undergo a routine eye exam once every two years. A routine eye exam involves having your vision and eye health tested, and will normally take between 20-30 minutes. You’ll be asked by the optometrist about your medical history, any symptoms you have, and how long you’ve had them, as well as more general questions about your lifestyle, health, and medication you may be taking. 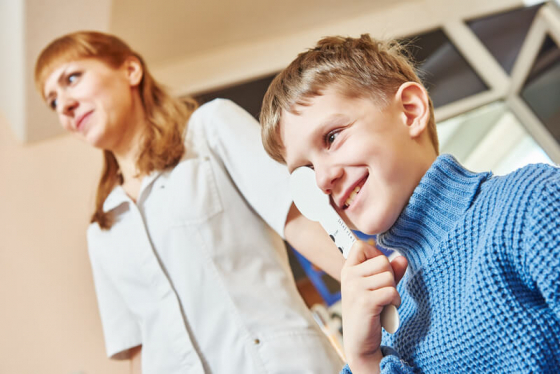 After taking your history, the optometrist will give you an eye health exam – this involves shining an ophthalmoscope through your pupil to study the eyes’ reflexes (how it reacts when exposed to light) and the inside of the eye. They will also look at your eye coordination and movement to confirm they are functioning together. Your medical history and age could determine whether you are examined for other conditions. Common examples of these conditions are glaucoma, where pressure in your eye can damage the optic nerve, and diabetic retinopathy, where vision is obstructed by new blood vessels forming in the eye as a result of high blood sugar and high blood pressure. Following the eye health test is a vision examination - your long-distance, near, and intermediate vision are assessed. 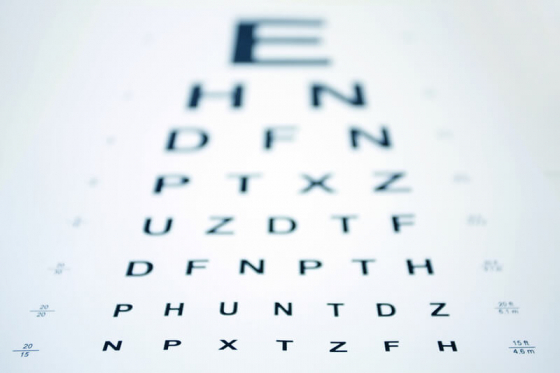 Your visual acuity will also be tested, which may involve reading a Snellen chart on which the letters gradually get smaller. If you wear corrective lenses you may be examined with and without them. The optometrist may carry out further tests if there is a problem with your sight to establish exactly what the problem is and how to treat it. How do you treat Short-Sightedness? Myopia is normally treated by corrective lenses, such as glasses or contact lenses. However, laser eye surgery is growing in popularity (although not free on the NHS), and in cases where this doesn’t work or isn’t possible, there are artificial lens implants – but this is a relatively new method. Myopia can’t really be prevented and as children grow it can often get worse. The earlier a child starts to lose vision, their eyesight can deteriorate faster and become more severe as they age. However, this usually stops at around 20 years old. Atropine eye drops - Research has indicated that these drops may cause the condition to progress slower. However, high-strength eye drops can cause side effects (e.g. photophobia or reading difficulties), while low-strength eye drops are not available to buy in the UK. Bifocal contacts – these could also help slow the progression of Myopia. Orthokeratology - This method involves wearing a hard contact lens while you sleep – it temporarily reduces the cornea’s curvature to improve your vision throughout the day without the need for wearing corrective lenses. However, it is not a cure as the cornea generally resumes its normal shape after a while. Corrective lenses are given to your specific prescription and they help to focus light directly onto your retina, correcting the refractive error that causes the condition, and ensuring objects far away are sharp and in focus. As your eyesight changes with age, your prescription may also change. As a result, you could require two pairs of glasses – one for long distance and one for short distance – or you may find it easier to use bifocal or varifocal lenses in order to see both distances through one pair of glasses. As contact lenses are lightweight and not generally noticeable they can be preferred to glasses – however they may also require more maintenance. Disposable lenses are normally worn once a day and thrown away, while reusable lenses have to be disinfected before you can use them again. They should not be worn overnight as they can cause an infection if they become stuck. Lens hygiene is also essential to avoid increasing the risk of infection. Laser eye surgery is used to correct refractive errors. When treating Myopia the laser is used to remove parts of the cornea and flatten it slightly, allowing light to focus onto the retina rather than in front of it. Photorefractive Keratectomy (PRK) – An excimer laser is used to remove part of the cornea’s surface (epithelial), exposing the corneal tissue. The laser is then used to reshape the tissue (stromal) in order to correct the refractive error. Laser Epithelial Keratomileusis (LASEK) – Alcohol is used to soften the epithelial layer of the cornea before a small flap is lifted to expose the stromal layer. The laser is then used to reform the corneal tissue, correcting the refractive error. Laser In Situ Keratectomy (LASIK) – The surgeon cuts a small flap in the corneal surface with a mechanical instrument, before using the laser to reshape the corneal tissue and replacing the flap. This method is normally the least painful and has a quick recovery time, and is the most common laser-corrective procedure. However, it is only an option if the cornea is thick enough, and as the surgery is the most complex, any complications that arise could be more serious. All surgical procedures carry certain risks, and your surgeon should discuss these with you before making any decisions. If the corrections made to the corneal tissue were misjudged, it could lead to your vision becoming worse. The flap could begin growing into the corneal tissue, which can lead to vision issues that require further surgery. The cornea can become too thin and could result in the reduction or loss of vision. This condition is called ecstasia. You may experience dry eyes for a number of months, which can be treated with special eye drops. Your night vision may be reduced for a few weeks. You might feel a hazing effect near bright lights. People with diabetes – they may suffer eye-related complications that could be made worse with the surgery. People with conditions that affect the immune system – a weakened immune system could make it more difficult to recover from the surgery. People who are pregnant or breastfeeding – hormones in your body can cause small fluctuations in eyesight, making it more difficult to be precise during surgery. People with other eye-related problems - such as cataracts or glaucoma. Lens implant surgery is an alternative treatment that could be helpful for those who find it difficult to wear glasses or contact lenses, or for people whose short sightedness is very severe. Phakic Implant – An artificial lens is implanted without the natural lens being removed. This is normally the preferred method for younger people who don’t have difficulty with reading. 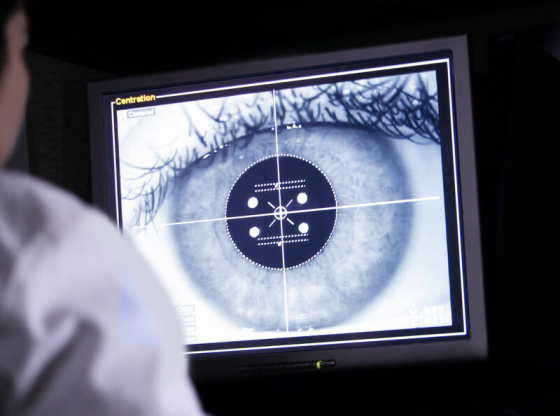 Phakic implants may result in having better vision than alternative lens replacements – most people who undergo this treatment see significant progress in their eyesight, and around a quarter of patients could gain close to normal vision. However, phakic implants carry a greater risk of complications (e.g. cataracts). Artificial Replacement – An artificial lens replaces the natural lens in a similar way to cataract surgery. Artificial replacements can be better suited for adults (usually older) whose eyes have been damaged already, or who suffer from another eye condition (e.g. glaucoma or cataracts). All medical and surgical procedures can have complications – an issue commonly associated with artificial lens implants is posterior capsule opacification (PCO). A section of the implanted lens becomes thickened and foggy – it normally happens a few months or years after the surgery takes place. Laser surgery can remove the affected part of the lens. Artificial lens implants are not normally covered by the NHS, and can cost around £4,000-£5,000 to have both eyes treated.